Man and Van Mates is a company providing relocation services. 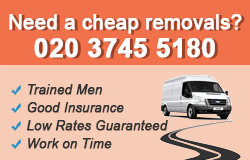 The company specialises in delivering man and van services in Harrow, HA1. For small moves of items from one apartment to a new location, we are here to help you. Our company is a professional provider of man and van services. We have been operating in the area of Harrow, HA1 for several years and offering high quality at competitive prices. We work with a team of moving experts, who will make sure that your move goes as smoothly as possible. All of our employees are chosen among the best professionals in the industry, therefore we can guarantee excellent and quick completion of the task. Call us now for more information or to make an appointment. London has never been more populated than now and people are constantly changing their apartments and houses and there are always on the move. But when at move all people need a little it of help, like a company that will provide them with good man and van services. You can order our services by calling our dedicated phone agents who will be happy to help you and provide you with everything you need. If you prefer to see us in person you can visit our office in Harrow, HA1. If you search for professional man and van services, done in a fast and reliable way, you can trust the professionalism and experience of our movers. They are available 7 days per week to come and to organize the transportation of your belongings. Our company is situated in Harrow, HA1 and we are ready to provide our man and van services as soon as you contact us. We have ensured safe transportation through our reliable vans and we guarantee that your items won’t be damaged. In case you want to learn more about out outstanding offers and affordable prices, use our call centres. We decided when we first started our London based man and van service to keep our operation small. Mostly due to the fact that the bigger moving companies seem to lose customer service quality. Which is why our customer services is second to none. We listen to our clients, and understand the care and attention which must be given to their precious items. We supply all the packing boxes and padding to ensure peoples belongings are safe and arrive at their destination in one piece. Even though we have fully comprehensive insurance, we have yet to call upon it. So if you are looking for a reliable man and van service who will care about your belongings, then pick up the phone now and book an appointment for us to come and see you.